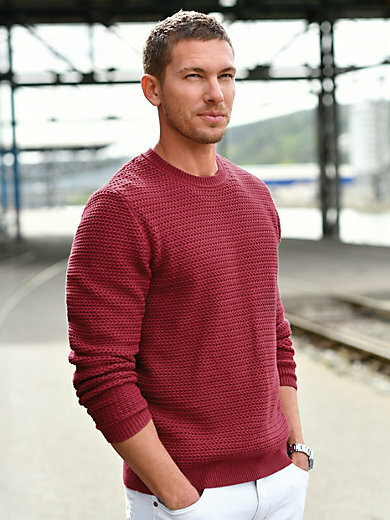 Round neck pullover by LOUIS SAYN: sporty, modern. This coarse knit pullover featuring an elaborate textured pattern can be worn all year round! 100% cotton. The round neck pullover is machine washable.